When we open the pages of a history book, we expect to find the names and stories of great men and women—names that left their mark on the world, names belonging to those figures who, over the course of their lives, changed the course of human history with their discoveries, their inventions, and their actions. We look for names like Abraham Lincoln, or Gottfried Leibniz, or Eli Whitney, or Winston Churchill, or Joan of Arc, or a thousand other names that did a thousand other things that the world decided were important. No one ever opens a history book expecting to read about Gerard E. Lallier. Over the course of his life, my grandfather—my pépère—never did anything that the world took note of. He made no discovery, designed no invention, took no action that made the world stop and pay attention. His death went unnoticed by billions of busy people who never knew him. For them, it was a day like any other. But not for me. Not for my family. For us it was a day of pain and grief and sorrow. It didn’t come as a surprise. For the last three years of his life, we watched Pépère waste away. A heart attack came and took what was left of his vivacity, and from there it was a continual decline. The doctors said six months, a year in rare cases. He held on for three years. The last time I came home to visit, he was almost a shadow—an emaciated man frustrated with living and scared of dying. But that wasn’t the man I knew. 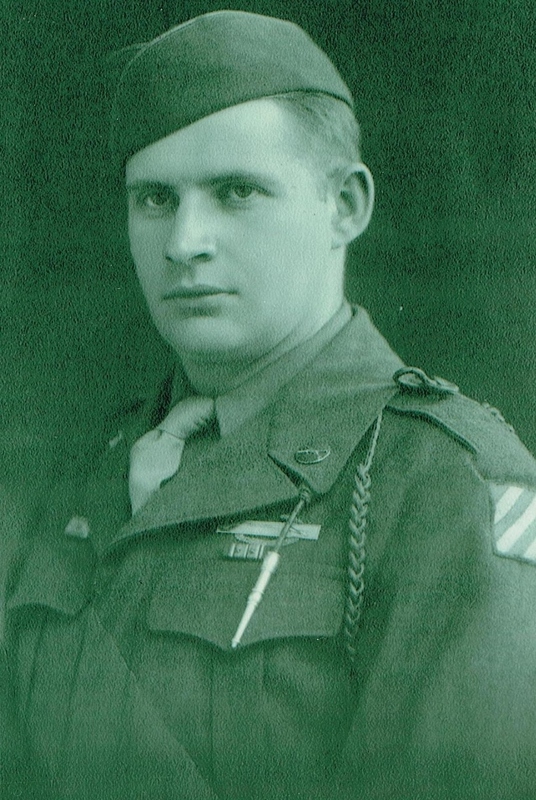 The man I knew served in the Third Infantry Division during World War II—one of the few divisions to fight the Axis powers on every European front. He was there on the day of Dachau’s liberation, one of Germany’s most infamous concentration camps. The man I knew took two barnfuls of enemy soldiers captive without firing a single gunshot. 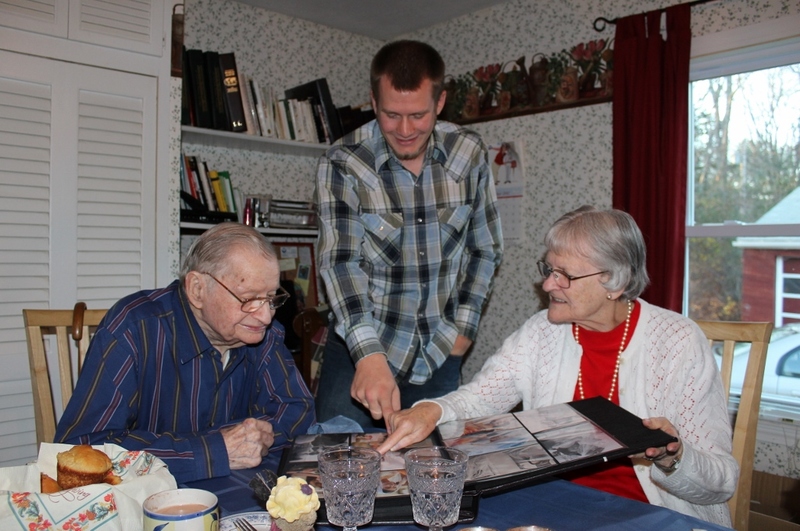 His interest in farms led him to explore one toward the war’s conclusion—and when a local woman pointed worriedly at her barn, he opened the doors to find a group of German soldiers, armed but tired of fighting. They gave up peacefully, and (after a quick stop to discover a similarly enemy-filled barn) followed my pépère back to camp. And the man I knew came home from the terrors of the Second World War, met a beautiful young woman, fell in love, and started a family. But those are just stories I’ve heard. I wasn’t there for any of them. I didn’t come along until the family he started became an even bigger one and he became a grandfather who loved his two grandchildren very much. Then come the stories I remember. Mémère and Pépère couldn’t make it to my wedding, but I did get the chance to share some of the pictures with them. I remember carousel rides and jigsaw puzzles. I remember visiting the zoo and feeding the ducks. I remember playing games, never realizing that the pair of eyes racing me to finish a word search was the same pair of eyes that had witnessed the horrors of war and the depths of human cruelty. There were so many of his stories I never heard, so many chapters of his life that are now closed to me, and now I feel I’m fighting to hold on to the stories I do have. The little details like the sound of his voice or the expressions on his face are slipping away like sand through the cracks of my fingers—the tighter I try to hold on, the quicker they seem to disappear. Mémère and Pépère with the newest member of their family—my dad! Although my grandfather never found a place among the Lincolns and the Whitneys and the Churchills of history’s pages, to a small handful of people on this earth, he was special. To me, he was a wonderful grandfather. To others, a father. A husband. A brother. A friend. And though the world at large never knew him, his memory lives on through us—through the lives and hearts he touched. If you brought all those hearts and lives together into one room, we could tell you Pépère’s life story from our memories. But as time marches on, there will be fewer and fewer of us to carry that memory. There will be fewer and fewer of us who remember my pépère and his story, all while more and more of the details slip away from those of us who remain. Smiles will be forgotten, words lost, expressions overlooked—little by little, our memories will lose their sharpness as they begin to fade. And there will come a time, many years from now, when there won’t be a single human being with any recollection of my grandfather. One day, no one will remember Gerard E. Lallier. But I take comfort in this: while I will forget the little details of my pépère’s life, God will not. Even when the last of us who can remember him breathe our last, his memory will not perish—because Gerard E. Lallier is not now, nor will he ever be, forgotten by his Creator. The things my pépère witnessed in World War II stayed with him his entire life. He often talked about what he’d seen and done during that time—sometimes with self-amused laughter as he recounted tales of mischief and misadventure, and other times holding back tears when reliving his more painful memories. Some stories he couldn’t finish. I spoke at Pépère’s funeral. I think it was one of the hardest things I’ve ever done. It’s gut-wrenching in a way words cannot express to stand in front of the lifeless body of a loved one, knowing you’ll never see them again in this life, and try to communicate to a roomful of people how much this person meant to you and how much he means to God. But I thought a lot about the promises God gives us at the end of Revelation. I thought about “the dead, small and great, standing before God” (Revelation 20:12) and having their eyes opened to the truth for the very first time. I thought about God personally wiping away “every tear from their eyes” (Revelation 21:4) and how different things will be then. 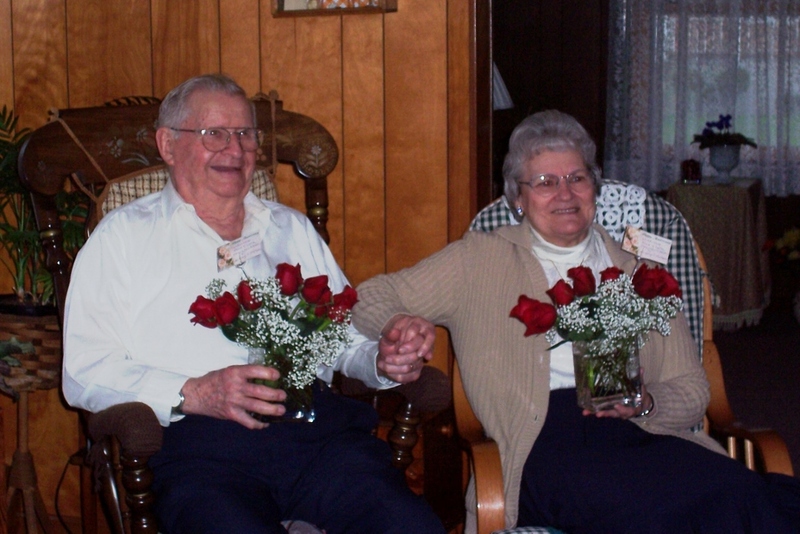 Mémère and Pépère on their 50th anniversary. When Pépère wakes up, the world is going to be a different place than when he fell asleep. There won’t be any more tears. There won’t be any more death. There won’t be any of the things that have caused this world and the people in it such deep-rooted trauma. When God calls Gerard E. Lallier out from his grave, my pépère won’t be the man I saw waste away for three years as he lost his will to live. He will be the grandfather I know and love, and for the very first time he will be seeing the world the way it was always supposed to be. And he won’t be the only one. Billions upon billions of men, women, and children who never had their eyes truly opened to God’s incredible plan will awake again in a world where everything is finally as it was always meant to be. And they will understand in a way they never understood before, and you and I will be there to help in a way we could never help before. This was not the end of Pépère’s story—only of a chapter. I will struggle to remember details; the tiniest circumstance will not be forgotten by God. Even when the rest of the world cannot, God will remember my pépère. And He will desire the work of his hands once again. 6 Responses to "For Pépère"
Jeremy, This is wonderful. We have all lost so many, dear to us and in our busy lives sometimes we don’t really think about the future for our families and friends. You article should be in One Accord. Thank you. Keep up the great work, Mary S.
An inspiring and heart-wrenching tribute. 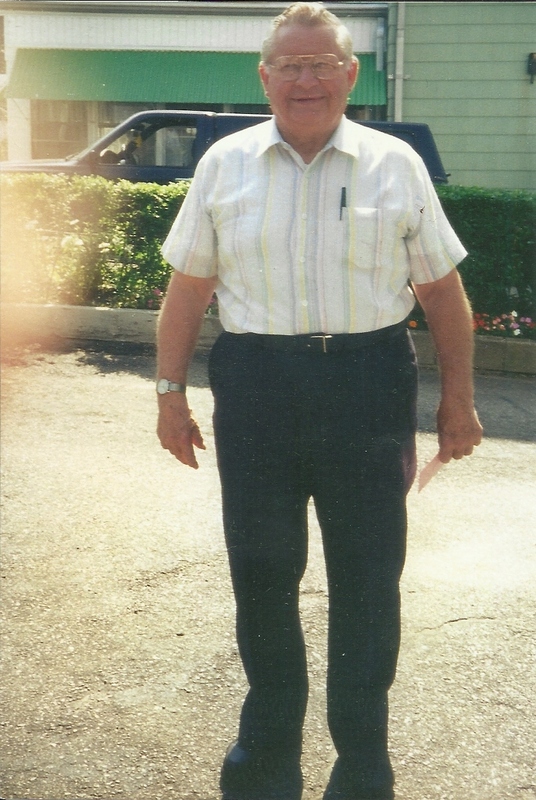 I can’t wait to meet your pepere some day–soon! 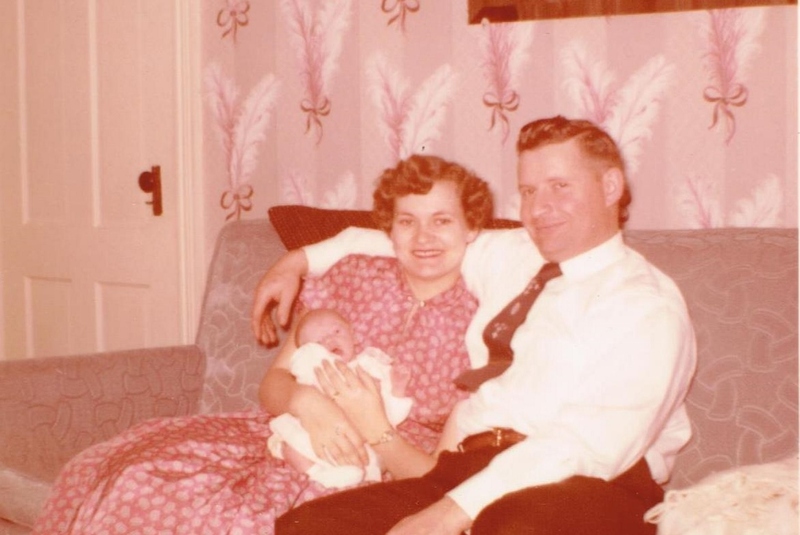 This is a great article and so heart-felt and I too, am looking forward to the world tomorrow, with no more suffering and would love to see and meet your pepere 🙂 Very inspiring true story, thanks for writing this! It gave me tears of joy! excellent Sabbath Thought Jeremy. (hug) thank you. Thank you from an old soldier.